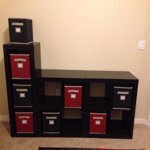 Create multiple storage solutions for your home with the Better Homes and Gardens 3-Cube Organizer. It's available in your choice of select colors for easier matching with your decor. This product features a set of square openings for easy storage opportunities. The three-cube storage organizer shelf is stylish and versatile. It can be used as a display shelf for pictures, books and mementos. 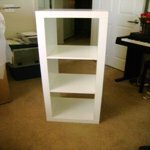 This Better Homes and Gardens bookshelf can stand horizontally or vertically, so you can decorate easily. 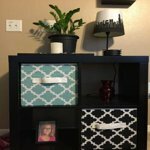 This unit is specifically sized so that you can set it up with Better Homes and Gardens fabric storage cube drawers (available separately). Assembly is fast and easy, so you can start using the unit right away. You can use it to hold your TV and other home theater components when you have the rack set up horizontally. Better Homes and Gardens 3-Cube Organizer, Multiple Colors:Number of cubes: 3 cubesAssembled dimensions: 15.65\W x 17.17\"D x 44.5\"HInner cube dimensions: 13.15\"W x 13.35\"D x 13.03\"HMaterial: MDF and particle boardColors: Birch Create multiple storage solutions for your home with the Better Homes and Gardens 3-Cube Organizer. It's available in your choice of select colors for easier matching with your decor. This product features a set of square openings for easy storage opportunities. The three-cube storage organizer shelf is stylish and versatile. It can be used as a display shelf for pictures, books and mementos. 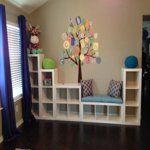 This Better Homes and Gardens bookshelf can stand horizontally or vertically, so you can decorate easily. 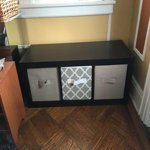 This unit is specifically sized so that you can set it up with Better Homes and Gardens fabric storage cube drawers (available separately). Assembly is fast and easy, so you can start using the unit right away. You can use it to hold your TV and other home theater components when you have the rack set up horizontally. I don't usually write reviews but this product has impressed me so much that l decided to drop a few lines of satisfaction! This unit is well built, sturdy and elegant at a give away price! The instructions were easy to follow. 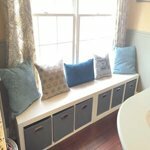 I just need a cushion to complete this beautiful breakfast banquette. It has really elevated the style of my home with great aesthetic pleasure! Affordable sophistication. WOW! This cube organizer was exactly what I had hoped for. I used this with additional sizes of same organizer for our son's playroom. Quality is much better than I anticipated and they were very easy to assemble. So easy to put together and such a beautiful and sturdy piece of furniture. 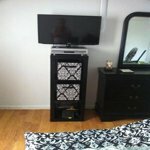 We bought 2 of the 4's and 1 of these and made our own tv stand and storage area out of them. We love them and I am sure I will find other places for the next ones I buy! This 3 cube organizer worked great at the foot of my bed. I love how it can be used vertically or horizontally. These organizers are good quality and very sturdy. Well worth the money. A great bargain. This is the 2nd one I've bought. I have given this 3 cube organizer a 5. It arrived on time without any damage and was very easy to assemble.. I had recently redone my bedroom in black and white with damask accents. The black cube goes perfect with my black furniture. I am using the cube as a television stand. It is the right height I needed for viewing television from the bed. 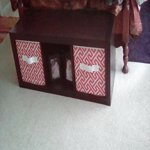 I found some damask fabric cubes at Big Lots. I especially like that the back is open and in one of the cube areas I was able to hide all the wiring required for cable tv and internet. The product has clean lines and I would totally recommend it to other. I am considering purchasing another to use in the bathroom as a cabinet to put rolled towels and using fabric cubes in two of the opening. Will have to think on that some more. I like that the fabric cubes can be changed out and have a totally different look when I tire of what I have now. Very Pleased with the purchase...I am considering purchasing a third fabric cube and cutting part of the back out of it so all the wires will fit inside of the cube and be totally hidden. A project for another day. I also ordered the 4 cube and this one took me less time to assemble; very easy. Am anxious to put them to use because they are sooooooooo sturdy. 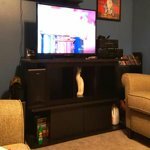 I didn't like the entertainment centers/tv stands available, and purchased this to modify my current entertainment center. Easy to put together, and very sturdy as well as good looking. I read comments about the dowels not being very strong - they aren't intended to hold up a lot - the nature of the design and the screws hold it all together. Pretty impressed. I was a little worried about the quality of the item due to the price. I read some reviews and decided to go ahead and place my order. 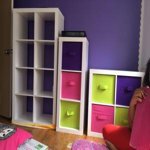 They are easy to assemble and it took less than 30 minutes to complete both the 3-cube organizer as well as the 4-cube organizer. I would recommend for space saving in any room of your home! Bought these for a redo on my niece's bedroom. They were exactly what I was looking for! 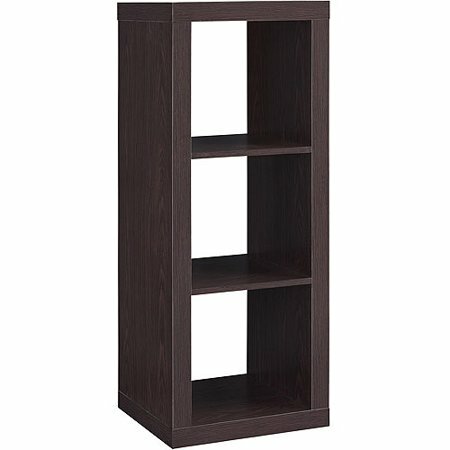 I purchased this to store (read hide) clutter from my front door. We typically take our shoes off at the door. The existing shoe rack at the door was too small, so shoes were on and around it. Besides that, who wants a bunch of shoes at their front door. The cube solved the problem. The large cubes store several pairs of shoes each with extra storage to hide other clutter. I even plan to put a cushion on the side for decorative seating to put your shoes on.